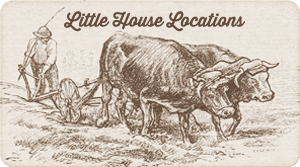 The Little House books were some of my favorite books to read growing up. I would devour each book, ready for the next one. When I thought about the life that Laura and her sisters had, it made me appreciate everything I had around me. 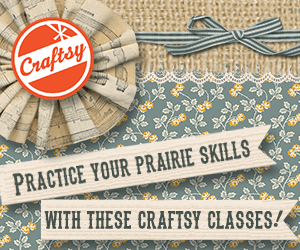 I was thankful I didn’t have to get up at the crack of dawn to milk cows, churn butter, and do everything by hand. I was always sad for Laura when Nellie would come flouncing around with her prettier dresses and doll. 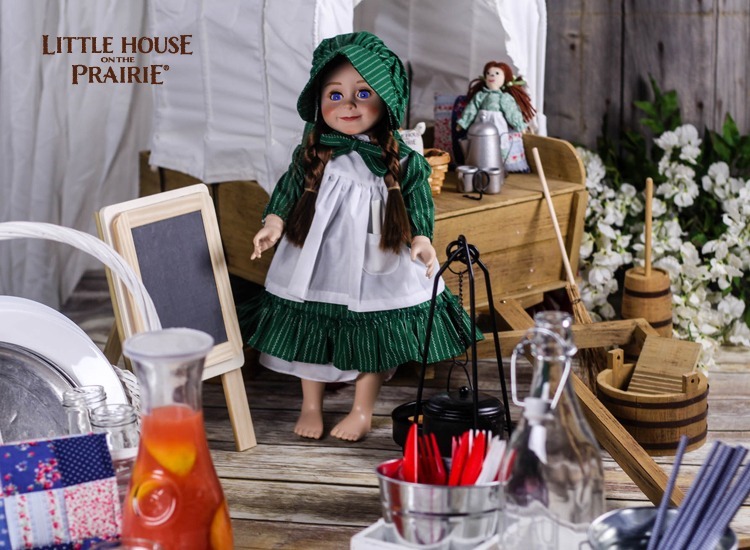 Oh, we can’t forget about Nellie’s doll. 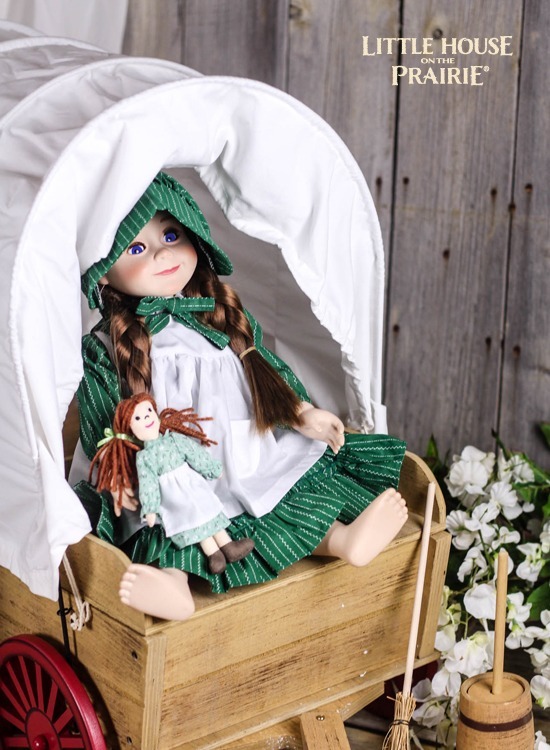 Laura had a little rag doll named Charlotte while Nellie’s doll was beautiful, made of wax, and could say “Mamma.” Laura tried not to show her jealousy over Nellie’s doll by saying she doesn’t play with dolls; she plays in the creek. Fast forward to 2016. 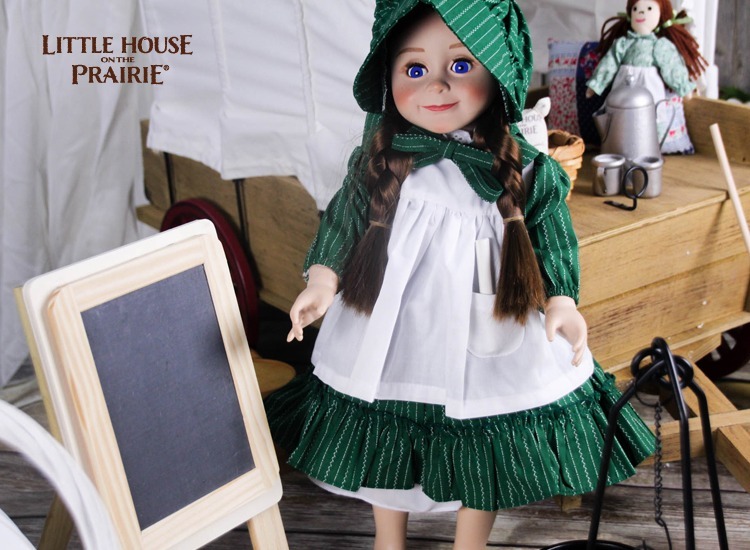 Now you can have your own Little House on the Prairie experience with the new Laura Ingalls 18” doll. 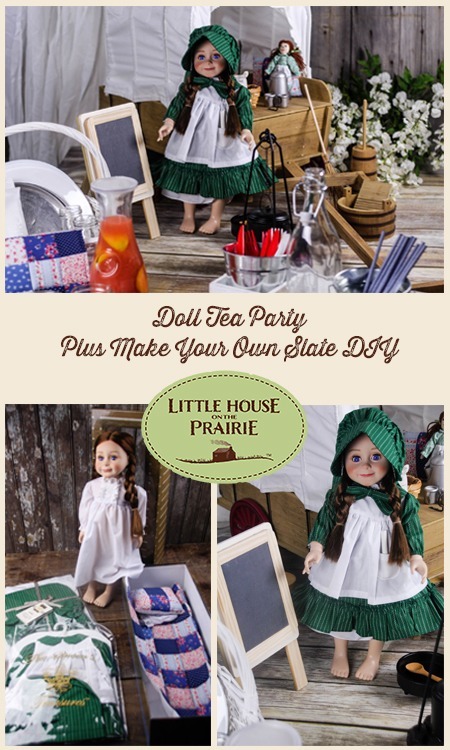 To celebrate the new arrival of the Laura Ingalls doll, I have created a simple DIY Doll Slate you can make and will show you how to put together a Laura Ingalls style Little House on the Prairie party! 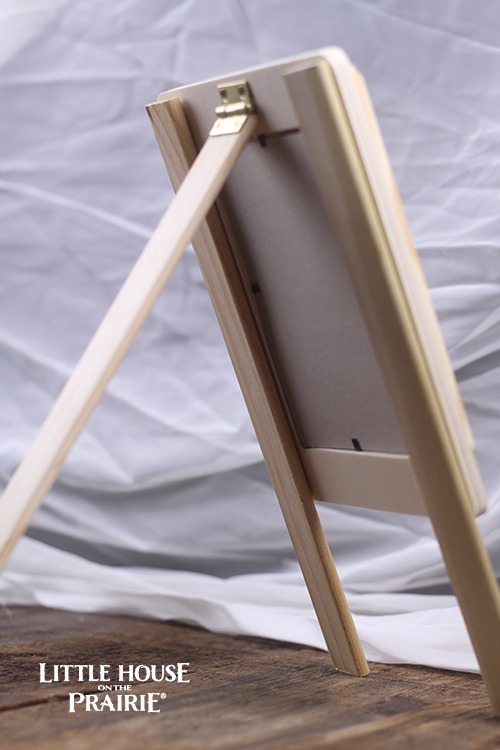 Optional – Hinge set to create a folding easel for your doll’s chalkboard. Step Two. 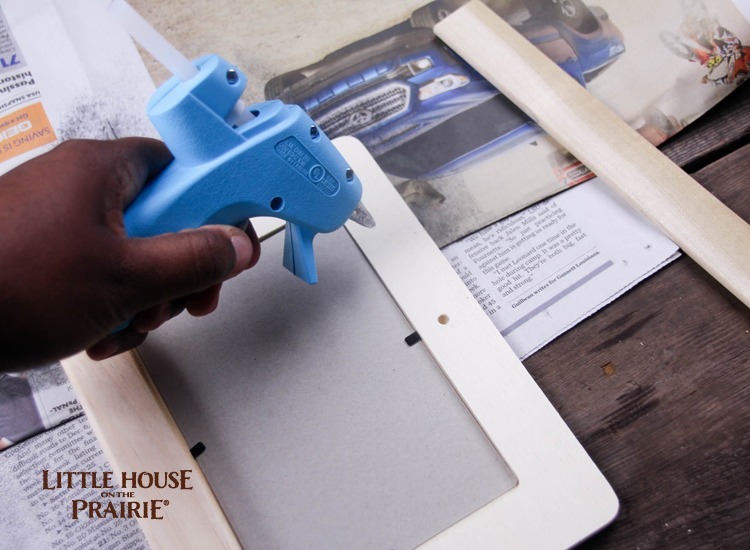 Once your glue gun is ready, turn the 4×6 Wooden Frame over (so the back is facing up), place hot glue on the side of the frame. Step Three. 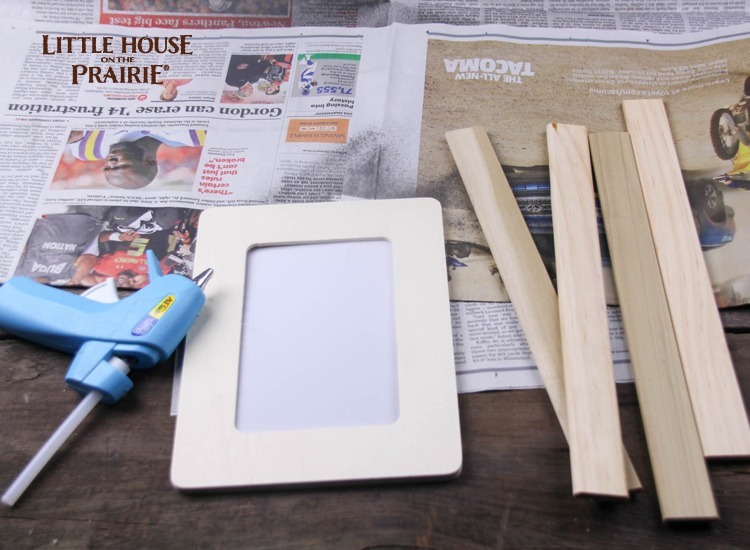 Immediately place a wooden stick on the side of the frame covered with glue. Allow for the glue to connect and dry (about two minutes). Then repeat this process on the other side of the frame. Step Four. Once both sides are dry, flip the Wooden Frame over. Step Five. Place glue all around the frame. Immediately put the wood chalkboard on top of the frame. Step Six. 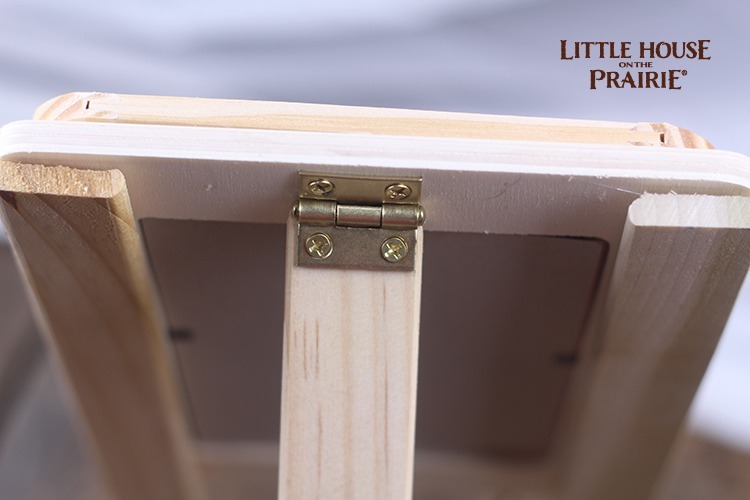 Once the front of the frame is dry, you will need to add the third wooden leg to the back of the frame. Step Seven. There are three ways you can insert the last leg. You can leave it off, and just use the Wooden Slate as is. Or, you can glue the third leg to the back of the frame. The last option, and the one I did in the image above is to place a small hinge on the back of the frame and screw the other side of the hinge to the wooden leg. 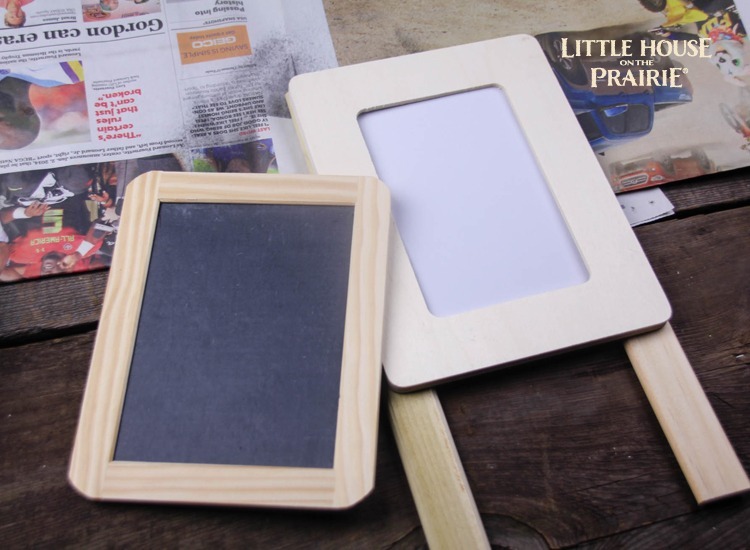 This creates a moveable leg to turn the chalkboard into a stand-up easel perfect for your Laura Ingalls doll to play school with! 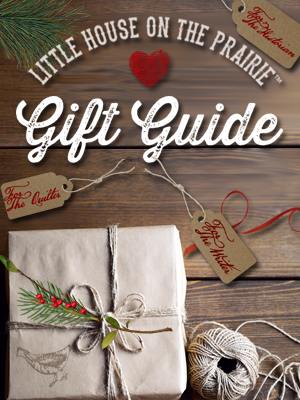 Optional: If your child wants to decorate the Slate, then let her have fun coloring it up! 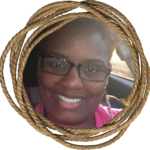 I decided to leave my slate plain, to match the rustic theme. 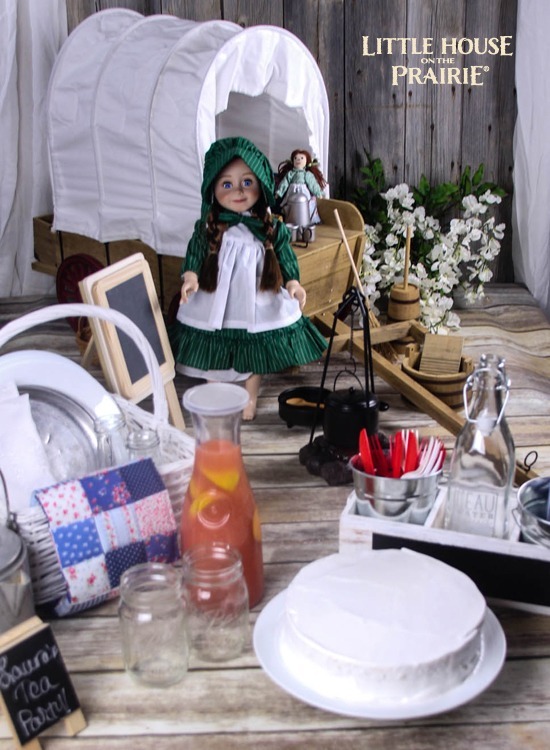 I remember reading how Laura was envious of all the things Nellie did and of her fabulous parties, so I put together a simple party idea. 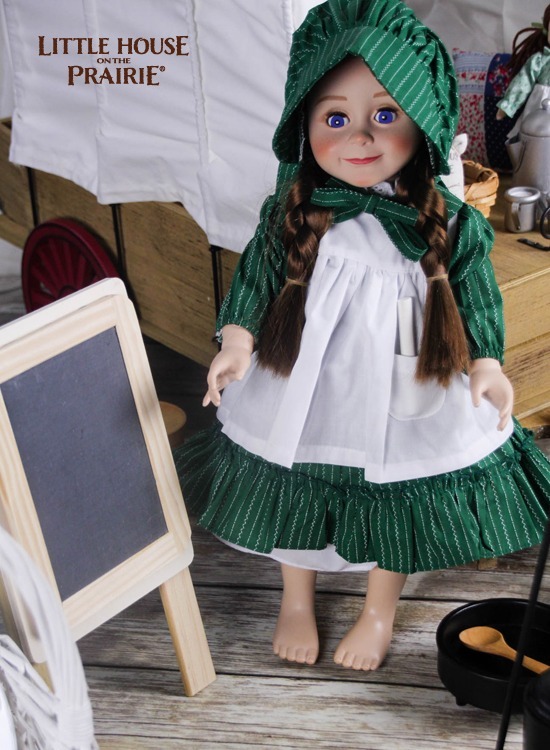 I toyed with the idea of putting together a Nellie-type-of-party, but since we’re talking about the new Laura Ingalls doll, it was best to give you an idea of the type of party Ma would have provided her. After all, Laura’s country party ended up being more fun! 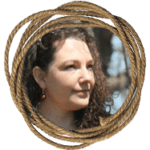 Laura’s friend tells her “I never had such a good time!” (On the Banks of Plum Creek). And don’t forget the dessert! 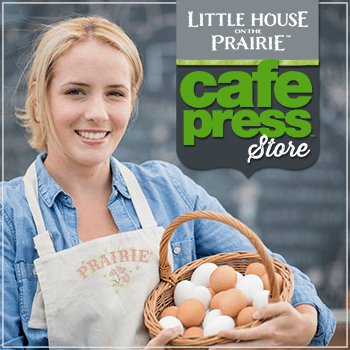 Check out this Cake with Blueberry Sauce Topping recipe, which is inspired by the wedding cake Ma made for Laura’s wedding. 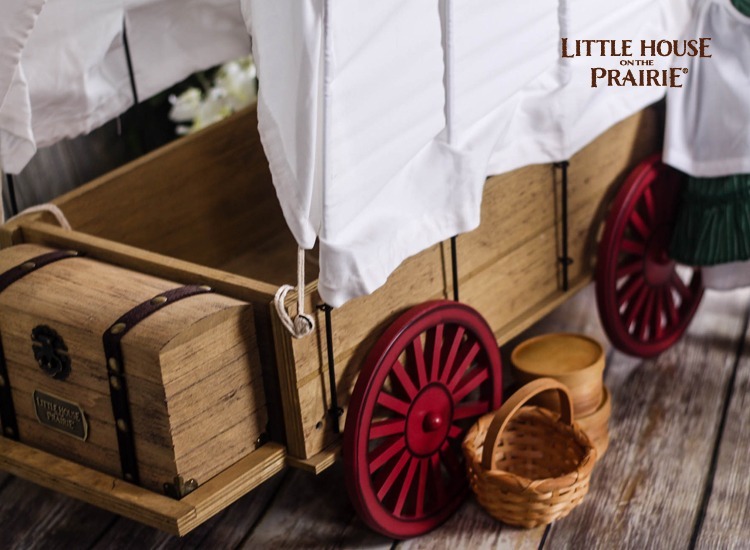 For additional Little House on the Prairie party ideas, be sure to check out How To Throw A Little House on the Prairie Birthday Party. 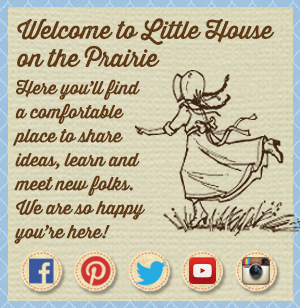 And for more Little House on the Prairie inspiration, be sure to subscribe to the newsletter. Wondering about Laurs’s dress. Is there a pattern available, or the dress ready made? I didn’t see anything in the “accessories” . Actually I wondering about the wagon used in the background…where can I purchase the wagon, if available. Little House in the. Big Woods ? Pages 74-76. Uncle Peter and Aunt Eliza and the cousins came. for Christmas.